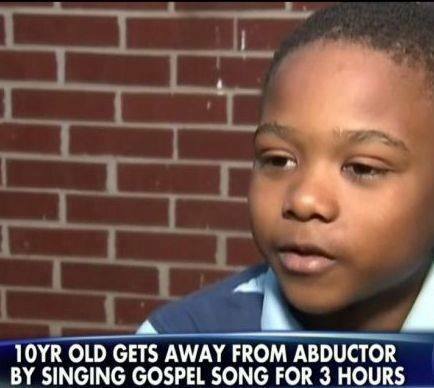 After being kidnapped, 10-year-old Willie Myrick sang a gospel song for 3 hours. The kidnapper repeatedly told Myrick to shut up, but he wouldn’t. In frustration, the kidnapper let him out of the car. When you are feeling alone or in despair, sing a song of HOPE! Let light drive out darkness.